As much as I love cheese, justifying a piece priced at more than $90/kg takes some convincing. I have been to the Kootenays in B.C and I know that it is one of the most pristine places in the world. The air is fresh and views are breathtaking. As the cheese monger at About Cheese explained that this is a true farmstead cheese, made from raw, organic milk, lovingly rubbed by hand, I could picture it perfectly. 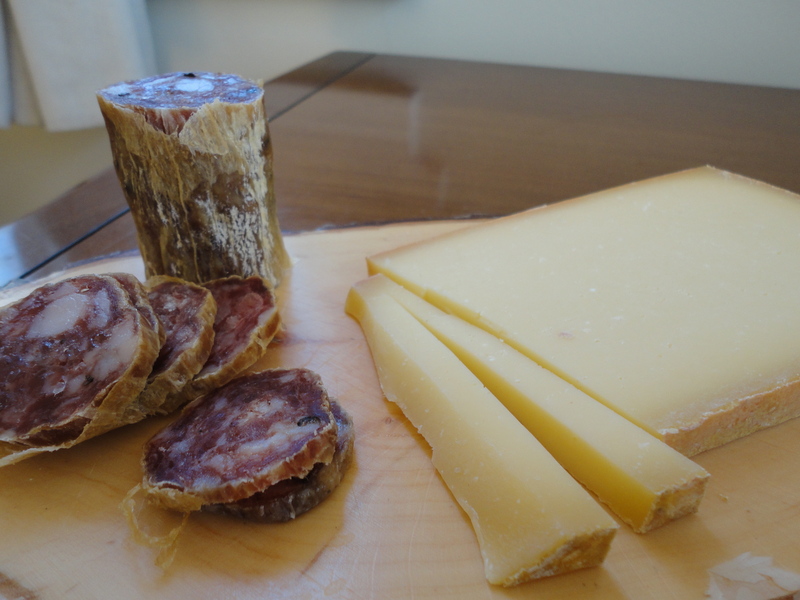 After letting it come to room temperature, I cut up some of my wild boar salumi and went to work on the cheese. Although it was a young piece, the sweet, nuttiness came through and paired well with the fatty, peppery meat. 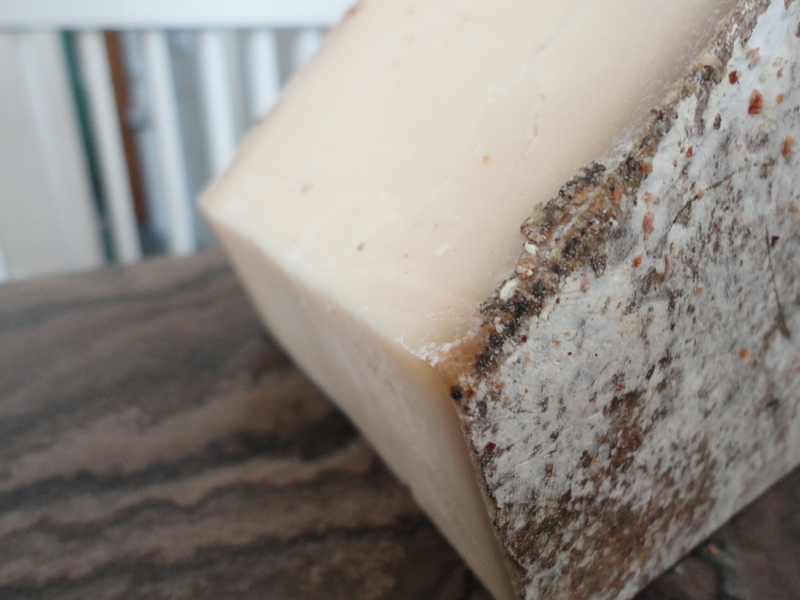 Made using the age old recipe of a Beaufort d’Alpage from France, this could be a cheese worthy of it’s own designation. The list of wonderful things about this cheese is long and warrants visiting the Kootenay Alpine Cheese Co. website for the full details. May I present Louis d’Or. “Best in Show” at the 2011 Canadian Cheese Grand Prix, 3rd place for “Best in Show” at the 2011 American Cheese Society Awards. This cheese is a show stopper. It also happens to be a cheese that you can feel good about eating. The Morin brothers collect fresh, raw milk from Ferme Louis d’Or, a neighbouring organic farm that houses 85 cows, ranging from Holstein, Jersey and Canadienne. The milk is then brought back to their creamery that once served as a Roman Catholic rectory. Here each 40 kg wheel is carefully crafted by cheesemaker, Dany Grimard, using traditional methods derived from the French Comté recipe. After searching the city, I was able to pick up both the 12 month and the 24 month at The Village Cheesemonger in Liberty Village. The 12 month is lighter, fudge-like and tastes of roasted hazelnuts. The 24 month old is a darker golden yellow, harder, and tastes of caramelized onions and garlic with a lingering nutty persistence. Fromagerie de Presbytére is located in the farming region of Sainte-Élizabeth-de-Warwick two hours east of Montréal. It is still a farmstead cheese and according to Jean and Dominic, it will stay that way.